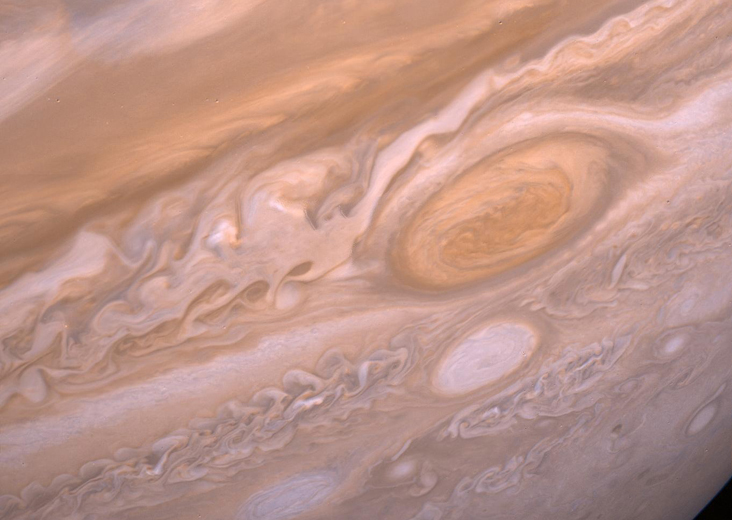 July 9, 2014 – Today marks the 35th anniversary of Voyager 2’s closest approach to Jupiter. Voyager 2 flew within 400,784 miles of the gas giant and made many important observations. NASA launched Voyager 2 on August 20, 1977 and Voyager 1 followed on September 5, 1977. Originally named Mariner Jupiter-Saturn, they were the last two spacecraft in NASA’s Mariner Series. The two spacecraft were sent to explore the outer solar system and to make studies of Jupiter and Saturn, their satellites, their potential to harbor life, and their magnetospheres, as well as studies of the interplanetary medium. Although Voyager 1 was the last to launch, it had a faster trajectory and its closest approach with Jupiter occurred on March 5, 1979. 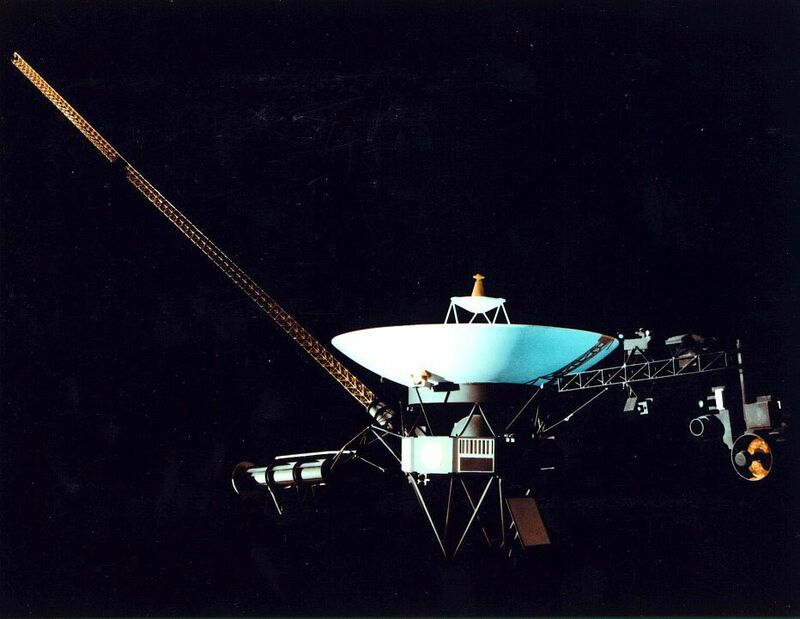 Voyager 2 arrived four months later and had its closest approach on July 9, 1979. The two spacecraft went on to make complementary measurements for both Jupiter and Saturn and their moons. Photography of Jupiter began in January 1979, when images taken from Voyager 1 already exceeded the best photos that had ever been taken from Earth. Voyager 1 completed its Jupiter encounter in early April, after taking nearly 19,000 photos and many other scientific measurements. Voyager 2 started its encounter in late April and continued until August. Together, they took more than 33,000 pictures of Jupiter and its five major satellites. Although Jupiter had been studied from Earth for several centuries, scientists were still surprised by the discoveries made by Voyager 1 and 2. In particular, they were able to get a better understanding of important physical, geological, and atmospheric processes that happen in deep space. Voyager 1’s encounter at Saturn was designed to take it out of the plane of our Solar System elliptic, but after the successful Voyager 2 Jupiter encounter, scientists redesigned its trajectory to take it to Uranus and Neptune for further observation. Voyager 2 is the only spacecraft to have flown by Jupiter, Saturn, Uranus and Neptune. Data is still being collected by Voyager 1 and 2, and they have gone far beyond the outer gas giants. The renamed Voyager Interstellar Mission now searches for the edge of the solar wind’s influence (the heliopause) as the spacecraft explore interstellar space.